my favorite talk. Luke uses data to tell great stories. Luke pointed out how “obvious” design changes involve tons of thinking, planning and work. Design is obvious in retrospect. Lots of work goes into making a design obvious. Quantitative research tells you what happened and qualitative tells you why. With hamburgers – you are presented with a mega menu list of choices. Overwhelming. 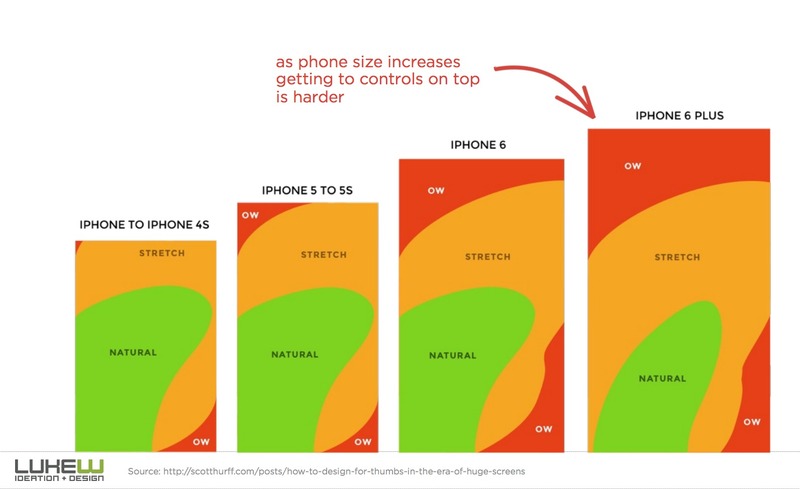 With the rise of phablets, ergonomically a bottom menu is easier to use. Below the fold isn’t the problem – the problem is that people don’t scroll when they think that the site ends. A problem with blocky boxy layouts. Change makes ppl uncomfortable and the key to failure is to try and please everyone. Products needs to have a point pf view – don’t blindly copy one or another. Where is the potentiual for animation in this flow? How can motion make this easier to understand. How do we animate between views logically? Anyone can make one – just need paper and pencil! Motion comps – Exactly how does this show how the animation works? Which item should move and when. Does the animation quality match our brand? Tools: Tumult Hype, AfterEffects, Adobe Animate. What will this interaction feel like? Does animation feel right in this context? How will animations interact with real data? No more designing for pages or for patterns, design for principles. Post desktop investment – watches, fridges, whatever?!??! Moving from page to patterns. A network of patterns that can be rearranged and moved. Web’s inherent variability needs to lead to device agnostic content. In addition, 605 of mobile connection is less than 3g. Desvice agnostic helps users with: hostile, crap browsers, tiny screens, slow networks, touch inputs. Design for nonideal areas of use. Document your patterns. Team style guide – language meaningful to your team.